Professor Carlos Sanabria selected thirty-five images for a photo essay book about Puerto Rican bodegas as captured by photographer Justo A. Martí throughout the 1950s and 1960s. The bodegas were one of the pillars of the Puerto Rican community’s socio-economic activities and a significant institution for past generations. Sanabria evokes his childhood memories of growing up in the Lower East Side (also known as Loisaida), where he ran errands and received his first job opportunity working in the local bodega. 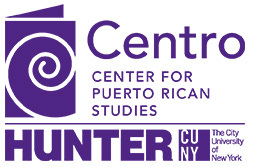 He invites us to learn how they helped shape the present Puerto Rican community in New York City. Exhibition curators: Carlos Sanabria and Pedro Juan Hernández. Buy The Book - "The Bodega: A Cornerstone of Puerto Rican Barrios (The Justo Martí Collection)"